Share your passion for world affairs! Purchase a Gift Membership between now and December 31st, and both you and your recipient will receive FREE ENTRY to your first WorldDenver event in 2018! To purchase a gift membership and redeem this offer, please contact Katy Anderson by email (Katy@WorldDenver.org) or phone (303.446.4903). Looking for something unique and fun? 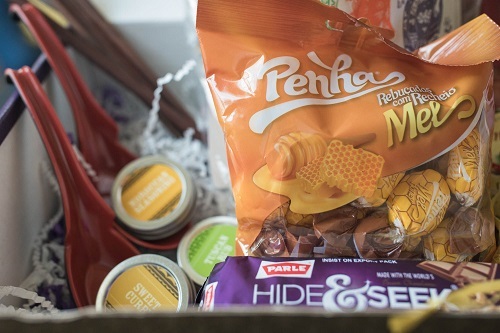 Check out the subscription boxes below - they're a gift that keeps on giving...for months! You can sign up for a single package, or a subscription that will enable your recipient to receive fun items each monthly or bi-monthly! Early Explorers (recommended for ages 3-5) learn about a new world theme each month like Music, World Landmarks, or Dinosaurs. Each monthly package includes a 20-page activity booklet, fun souvenirs, trading cards, letters, photos, stickers, and more. World Edition (ages 6-10) packages include letters, fun souvenirs, activity sheets, stickers, photos, and more from a new country each month, including access to online travel games. The USA Edition (ages 7-12) features two states each month in a 32-page activity-packed State Journal, along with stickers, postcards, pop-out models, and access to more facts and activities online. 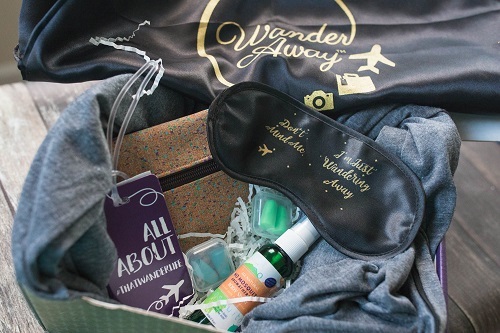 The WanderAway subscription box is meant to inspire your wanderlust, to broaden your horizons, and to give you a little getaway in a box. It will give you a glimpse of places to visit and a taste of cultures to explore. 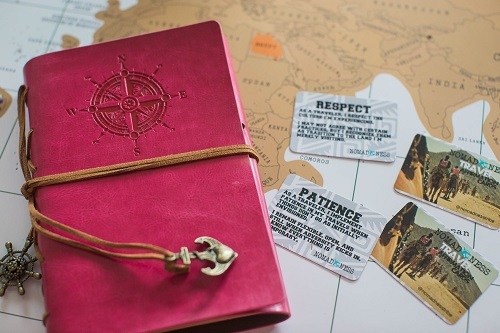 It's your inspiration to see the world - all in a care package delivered to your front door! WanderAway supports small business owners and local artisans from around the world. 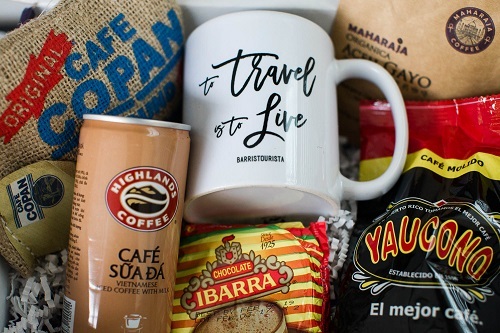 They provide products from the locations and cultures they believe you want to experience, and each box will bring a new travel experience to your door, with items specific to cultures, countries, and regions of the world. The subscription box by GlobeIn is a curated collection of fair-trade products hand-crafted by global artisans, delivered monthly. Treat someone to authentic, hand-made products from around the world that support remote artisans and farmers, delivered to them each month. Our first book club of the year will be on January 31st - buy Americanah, by Chimamanda Ngozi Adichie, and join us! Did you attend a speaker program that you particularly enjoyed? Or maybe you missed one that you were hoping to attend? Check out the books by our 2017 speakers below!